Preheat the broiler and position the rack about 6 inches from the heat. 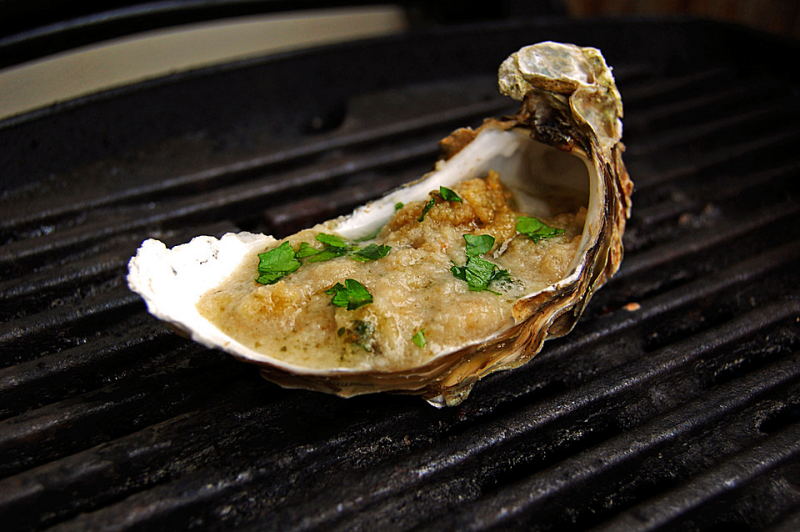 Arrange the oysters in a broiler pan. Spoon the cheese and bread crumb mixture over each oyster and dot with butter. Slide the pan under the hot broiler and stand guard in front of the oven to remove oysters from the oven when the tops are lightly browned, about 2 minutes. Serve immediately.